Is the Treasury thinking about Britain's brain drain? I met up with a friend over the weekend who has been offered an endowed Professorship at one the UK’s “Great Universities”. He’s a scientist and the post is at the top of his particular proclivity. He is 80 per cent certain of rejecting the Chair and is presently on track to leave Britain for an emerging Asian University, where he has been offered a higher salary. More important, my friend ( I shall call him Roberts, although that’s not his name) is making his decision on the basis that the country in which this University is set has just increased its budgetary investment in University research by some 25 per cent. His new post is blessed with a significantly uprated research budget. Dr Roberts is at the cutting edge of scientific research in a specialist field in which he and his UK team are world leaders. He has three major world-wide trials of products still in train – trials that are conducted and led from this country. The reason Dr Roberts is almost certain to reject the offer of the most prestigious University Chair in his field in this country is that it now comes with no guarantee of any research budget. Dr Roberts’ final decision will be considerably influenced by Chancellor George Osborne’s “Spending Review” this Wednesday. If the University research funding budget is slashed, he’ll definitely be leaving. If, by chance, Mr Osborne has heeded calls to protect it, he will look again at the options for staying. Whilst this is not the only determining factor, it is a very significant one for him. He tells me that the “research culture” at British universities is under siege, and that although there are uncertainties in the country to which he is likely to leave, they are outweighed by the prospect of being able to go on to the next level of research to which he needs now to move. Dr Roberts tells me that what he is likely to do is to move his family to Asia, and to commute for a time to Britain to complete his trials for which he still has funding. He will do this in a way that will guarantee that he stays in Britain for under 90 days a year , so as not to attract UK tax. When his trials end in 2013, his links with UK research will end. Dr Roberts is 45-years-old, with a very significant international reputation. His research, if successful – and the signs are excellent – will lead to considerable job creation in the long term, jobs which are in danger of being exported along with Roberts’ considerable scientific skills. The UK can ill afford the loss of the skills of men and women like my friend Roberts. Is anyone in the Treasury thinking about Roberts and the implications of his loss to an emerging Asian University? I’m sorry, but I think this story repeats the usual myth of the “Brain Drain” in British science – ie that it’s about “Great Men” transferring overseas. The real problem is further down the career ladder, where the scientists supposedly receiving “research training” (PhD and first Postdoc, with 2-3 year funded posts) are being used to carry out core research programmes for central govt and industry clients, who use them instead of permanent staff in their own laboratories. These programmes are effectively substituting temporary contracts for careers. Many scientists remain “stuck in the revolving door” of fixed term contracts, and dream of having the sort of career options now facing “Dr Roberts”. A frustrating blog Jon . No Name , no hint of type of research. Some of the research being done in this Country is worthless. It is an academic excercise for those who covet the PhD Title . It is prestige seeking. Many physicians who are well trained, well experienced and can do a job adequately have undertaken doctoral study just to progress their careers. It doesn’t do much to progress science or their job in reality , but instead takes time out of a job which would be far more effecient without the PhD waffle and pedantic acts of correct wording. There are of course those scientific research degrees which are figured highly in the media and really demonstrate progress. We need these people. I would suggest that it is a case of prioritisation of good research rather than stopping funding altogether. A couple of years I was going to start a Phd myself. The politics and good buddymanship sickened me. So your definition of worthwhile research is whether it ‘figures highly in the media’ and demonstrates something you subjectively call ‘progress’? The entire point of basic science research is that it opens up new, unknown opportunities, often in fields and with applications far divorced from those first intended. Who can possibly know which is the correct research to prioritise? Who are you to declare *any* research done in the UK ‘worthless’? A little misconstruing of words effects the whole and this is what you have so erroneously demonstrated. We as a society cannot appreciate the research process as a whole.. thank goodness.The more successful research , the breakthroughs, are highlighted thanks to the media.This statement hardly counts as a definition. Being in charge of a research unit and dealing with academic research for innumerable years has given me a little insight into the waffle proliferated.Wasted money and snob value figure highly . Peer reviews , quoting one another to ‘get on’ is all part of the game. I am as worthwhile as you and also as worthless as you, being that I have an opinion and can prioritise. However my sole opinion or the opinion of any other in creating a hypothesis with an intention that an unknown derivative may occur is surely stretching financial resource to the ridiculous. Philosophically the question of what counts as progress is debateable amd that is what we continue to do. Ah the joys of globalisation and capitalism. No doubt Roberts received a FREE education in this country but is now willing to take his talent abroad for a higher salary and will also make sure that the work he does here is tax free. While I think this government’s rush to cuts will do extraordinary damage – and cutting research funding is completely counter-intuitive for a government who say they want to build an economy on hi-tech and particularly on green industries – I’m also appalled at the casual way we accept that once you get to a certain level it’s OK to adopt an ‘every man for himself’ and ‘pull up the ladder’ approach. If those who have enjoyed the best of this country and grown rich on it, contributed their fair share, we wouldn’t be facing losing essential services and the sacking of thousands of ordinary people. Despite Gordon Gecko and Maggie Thatcher, greed is not good. Saltaire i totally agree.He is no better than those that seek foreign tax havens or those that sell their bodies for money. I think you are missing the point good sir, with funding to universities cut, senior positions do not have a guaranteed research budget. This isn’t a case of exploiting the system here to move onto higher paid jobs elsewhere, it’s a case of going to a country where one is capable (by being guaranteed funding) of doing a job (research) to the best of ones abilities. Leaving the country to work is hardly selling your soul. Scientists, unsurprisingly have a passion for science, but faced with the option of being unable exceed in ones own country, for the benefit of the country; or leave, to a country where funding permits the research, the choice can be a simple one. Sadly this is only too common. Funding for general scientific research in the UK is becoming increasingly hard to get and any cuts to the research budget will only make this worse. In the current system scientists in the UK have no background level of general funding. Everything needs to be applied for, justified with deliverables and be in a specific government approved area. This policy leads to incremental developments, a reduction in innovation and a suffocating of paradigm changing research ideas. Asian nations realise this and are investing in science and scientists. “Everything needs to be applied for, justified with deliverables…”. And I should bloody well hope so too ! I look back at my Uni days now and I realise that I was lectured by men who barely knew their subject. How does that old saying go ? Those who can do, those who can’t teach (or write, or go into TV, or…). Which is, of course, the answer which all funders find completely unacceptable. Paul, agreed, you can’t pick winners, but you can have a damned good try. In my field (Electronics) it’s easier, in others (bio-tech, life-sciences) it’s probably harder. We pitch for governement grants and have been awarded them. We have a clear idea of what our market is. If your answer is “That depends on what we find out” then you’re on a hiding to nothing because it prompts the question “Well, what do you *hope* to find out ?”. Research for researches sake is no bad thing. But there has to be limits. You have to have a belief that something useful will come of it. Imho governments should not try to direct research because history shows that they stink at it. Cutting edge science obviously deals with the unknown and discovery of scientific truth. Just because something may appear useless presently, does not mean that it will also prove to be so in 10,20,50 or a 100 years. The electron when discovered had no practical use, neither did Penicillin. Only a fool would suggest that these things have no practical use nowadays. Scientific discovery not only allows the accumulation of knowledge, but it can also open up avenues of research in seemingly unconnected areas of scientific endeavour. Failure to invest for future success is a backwards step. I bet Rutherford, Clerk Maxwell and many others are turning in their graves at the thought of directed research. FYI I am not a scientist, but I do believe in undirected research. Funny how much noise they make about protecting bankers providing their fickle and dangerous income stream and scant jobs at considerable cost to the UK. Whereas they make so little noise about the comparatively selfless (given the salaries involved and the abilities of the scientific community) contribution made by the scientific community. A contribution which could not only provide a sounder basis for economic growth but also a variety of other social benefits to health, the environment, energy dependency… in fact every facet of our lives are improved by the application of scientific method. I’m 46 years old, considering a university chair too. I have family reasons to keep me in the country, otherwise I’d *definitely* be off. I get job offers every few months. Given the writing on the wall Dr Roberts’ experience will be the norm not the exception (like me). anon then go because you do not value your country or those that presumably gave you the opportunity. I’m uncertain as to if I should be impressed by your sense of patriotism, however misplaced; or bemused at the poor quality of your analogy. Science, as a career, is not even remotely comparable in terms of wages to those of footballers. Nor have we (scientists) been benched for cohorting with ladies of ill repute (wasting the countries money. I’m struggling continuing this analogy). I could even claim we are driven by motivations similar to that of footballers, working for the “team”, though, team and country are not necessarily one. Like Anon I shall be seeking employment outside of the UK. Unlike Anon I am closer to 30, currently working abroad, but unable to find a suitable research position in the UK (uncertainties regarding budgets), I shall have to remain abroad if I want to continue working in my field. npupp the analogy has nothing to do with football or liasing with loose women , but to ones patriotism if you like,but rather to loyalty to those that gave you the opportunity.It would appear you follow supposed opportunity abroad,yet it makes one wonder why so many foreigners do everything they can to get to and stay in these shores. As i have said i have no problem with you going abroad or selling your soul for the money with the excuse its opportunity. The treasury is totally focused on two goals, cutting the deficit within four years, and the second (as has been the case since the 1980s) getting the hell out of the way of the City of London. Unless someone within government is sticking up for science (and the absence of any MPs with scientific background make this profoundly unlikely) we are likely to see a collapse in the science budget that wasn’t sufficient even before the whole banking collapse. While the distance in space and culture might hurt your friendship with Dr. Roberts he/she should get the hell out of the UK and never look back. Many of my own friends either had to go overseas to continue their study (no UK funding and they don’t have family with anything like bottomless pockets), but as hard as the change was they are happier than other friends that are now completely out of academia. Of course there are many demands for government support (will there even been a reason for an arts/culture department), but unless we want to be the country that everyone else outsources their bright ideas too, though only if we have the third world wages to match, you might want to save a bit for our brilliant boffins. The head of my own research group, at a prominent UK institution, left in August to go to Germany. My field was slashed 20% by the previous government so are already in a bad state. Germany, in contrast, is increasing science funding. 1. Apologise for the Ballymurphy Massacre which included the death of the Catholic priest, Fr Hugh Mullan and 10 others. A few months later they massacred more on Bloody Sunday in Derry. Then 11 months later they shot another priest Fr Noel FitzPatrick. 2. Return The Book of Mac Durnan (Gospels of Mac Durnan) written about 900 AD. It’s similar to The Book of Kells. 3. Return the Flag of the Fianna looted in 1916. It’s an Asian juggernaut Jon, and it can’t be stopped. We are simply unable to compete with China and east-Asia at large. On funding, employment costs and the sheer numbers of graduates that they have. While you lot were worying about the demise of Cadbury (a chocolate manufacturer) over here in the East-midlands a large telcomms equipment manufacturer quit the region to take the jobs East. 500+ highly skilled technical jobs were wiped out in an instant – never to be replaced. It didn’t even get reported on the national news. It’s called G L O B A L I S A T I O N and there’s nothing that this government (or any other) can do about it. They can’t cut child benefit and pamper your friend at the same time. It simply won’t wash.
As a researcher at the beginning of my career, unfortunately, it’s the same at the bottom as it as at the top. No one is employing, there is no money for research, and because resources are stretched so thin, we are expected to do the work of 3 people. Administration, teaching and research, and inevitably, the research is put at the bottom of the pile. I’m out of here as soon as I can. Singapore, its a shining example of investment in research. I thank the previous government for investing money in my career, but can’t thank the current one for maintaining that investment. Funding for scientific research has always been a long way down every Government’s list of priorities. They all seem to expect charities to come up with the money. Reluctance to invest in this is just another example of dangerous short-sightedness. When my daughter was researching at Liverpool School of Tropical Medicine they always seemed to need at least one member of their highly-qualified staff, full-time, to put together minutely-detailed applications for funding to various bodies such as the Medical Research Council. Many times these were refused. It was only when the Bill Gates Foundation stepped in with a generous gift that they could proceed with some certainty. My son-in-law, an expert in ultrasonics and their applications at Manchester Uni., suffers similar problems. Sometimes he can only get 3- or 6-months’ worth of funding & his team is very small. They work virtually hand-to-mouth, but are just managing to carry on. Yet what they do is good enough to justify his attendance at conferences all over the world, and he has been asked by an American company to sell them one of his patents. He won’t; but why has no British company had the same idea? 1) get banks lending again, since after the banking crash most companies don’t have a rich enough cash flow to risk investing in anything but the most short term of projects, and since most of these ventures are co-funded with a University it might be wise to avoid huge cuts to that budget. 2) get entrepreneurs interested in science and engineering, because for decades governments have wanted the reverse (and going by Anniexf’s family’s ability to illicit funding from stones, this has worked), but we would be better placed if business leaders can spot a good idea without requiring it to be delivered on a silver plater. At this stage I’d even settle for cuts now with a promise to reverse the cuts when there are not as many red zeros in the countries finances. Presumably Roberts benefited from a UK taxpayer funded University education. Touchingly loyal that when things get a bit tough he ‘heads for the hills’. Still, there will be more vintage wine and port for the poor, downtrodden academics that remain! I dont know about the Brain Drain in UK – . What I do know is that many Scientests eg involved in Resaerch are under threat . Many indeed are gone from Research here in ROI and UK – why – ?? . Maybe it is beacuse Research results take time – years – and may or may not have large results , and so not not in keeping with the prevailing culture of Immediate or quick results . Our main Horticutural Researh station[ in ROI] was all but closed down – so when I was at work – we went to UK 1/2 year for Insevice training to conferences – but mainly to a large Hort. Research Station in Warickshire . Recently – all the staff there had to reapply for their jobs – do an interview etc – and about 30-40 were let go. From A collegue I now find that this once famous Rsearch Institution is now badly run down – and hardly worth going to anymore . Researh is basic – for safe food – or in any field – . I doubt if Research into Weapons systems will get cut . That is the philosphy that prevails now – and it shows little care for the avergae citzen hwheter they be in ROI UK or most any other country . Would that your friend had abandoned ship earlier in his career leaving room at the helm for some bright, more loyal researcher. It’s not just going to be Scientists – it will happen across all sectors once these cuts weigh in. We will be plunged back into the dark days of the 80s when the only people who made money were city wide-boys and the rest of the country could go swivel as far as the government was concerned. Me and my husband (both fully contributing high-rate taxpayers for 15 years) will be off as soon as we can decide which of the much better alternatives out there to go for. The loss of trained women scientists is indeed a tragic waste. However, as long as women are the ones who bear children AND carry the brunt of childcare it is not all that surprising. I was talking about this with a (female) Professor in my own Univ recently. She said that at a women Profs’ meeting she had been to, every single female full Prof with kids said they had employed a full-time nanny when the kids were little. Several said they could only do this because they had non-scientist partners in well-paid professional jobs. Your analysis of the science workplace is spot on. The loss of one ‘great man’ Roberts whatever his proclivity(?) does not constitute a drain and most would see it as a natural career choice. It would be easily offset by the many talented foreign scientists coming to the UK to work, Russian-born Nobel prizewinners in Manchester spring to mind (although perhaps they’ll be leaving soon!). The training of thousands of people (men and women) who don’t get chance to establish and maintain careers is a huge waste of resources (or a high-turnover cheap workforce). Both losses could be said to result from structural faults in the system and lack of investment, although personal and family decisions determine so much. Hundreds of researchers are already long-distance commuters trying to hold down science jobs and relationships, not just the well-paid professors. Junior researchers are prepared to sacrifice a lot in terms of salary just to have stability (contracts longer than 2 to 3 years). 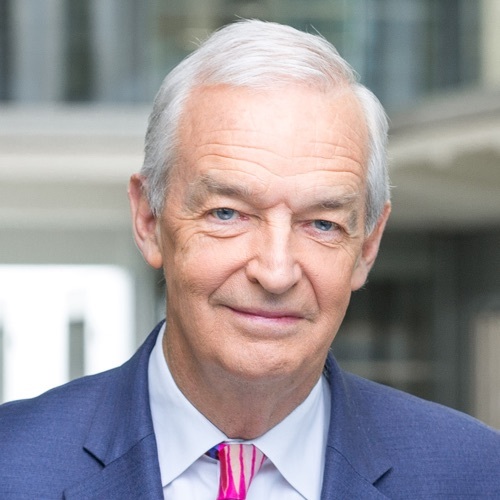 Perhaps Jon Snow could investigate science careers lower down the scale where most of the actual science gets done, it is far more shocking than his friend’s situation. “Contract Culture” in science bears particularly hard on women. Most scientists are asked to move from one project and location to another at 2-3 year intervals until they reach their mid-thirties, and the increasingly slim chance of a permanent post. Everyone on those projects is a key team member making a unique contribution, so the entitlement to maternity leave looks to the individual like a requirement to run even harder – for example, trying to complete an imposed, over-ambitious two year programme in eighteen months. Of course, another reason there is not enough money for research is that the government is hell bent on tossing millions of fivers into the Trident bin. How does Trident counter their own review of the main threats? 2 Cyber – are we planning to launch an anti nerd nuclear weapon? 4 Hostile nations – I suppose a case couild be made here except that they know we would only use it in the event of a complete breakdown in world order and by the time we reach that stage, nothing is going to save us. So logically, there’s another £20+ billion that could go on research, university places and other more useful things. But then our politicians wouldn’t feel such big chaps when they were strutting round the world stage seeing which of them can pee highest. Untargeted research is rarely efficient – OK, there are very occasional cases where accidental discoveries flow but most of the time it’s wasted time (and money). I once worked with a privatised utility which inherited a research arm – hundreds of play-time ‘scientists’, drawing healthy salaries, yet achieving little. I asked them how they balanced their costs with the outputs they delivered… and their eyes glazed over as they clearly didn’t even understand the question. They were closed down. Increasingly research happens on a global scale, as do the consequences of any success. We just have to get used to that new order and stop thinking we have any divine right to lead. If UK researchers choose to take the 30 Pieces of Silver elsewhere, that’s their decision – just like bankers, if they don’t want to stay, I’m not going to force them. He documents case after case of pharmaceuticals which were initially rejected on business grounds, which went on to yield tens of millions each year in turnover and profit. The real problem seems to be with decision makers who feel they can understand the potential of years of work after a five minute visit to a laboratory, or half a dozen Powerpoint slides. BTW, it would be interesting to know what that “useless” research in the public utility was – in the eighties the plug was pulled on, among other things, a range of projects on renewable energy, so we now import the technology from other countries. And on world leading desulphurisation technology for power stations, which we could now be selling to China. Research = wasted money -. What planet are u on – Penicillin , Medical drugs of all sorts , a good food supply , space travel – the list is well nigh endless. Jon, You make a big mistake if you think “the Treasury” are in the least concerned with a so-called “brain drain” from Britain. The vast majority of senior civil servants in the Treasury have no concerns whatever with the well-being of this nation and its citizens. They are part of a capitalist establishment concerned only with their own survival, including employment after they leave the CS. The logical conclusion of the latter propaganda of course is that Britain cannot be competitive until its wages and salary levels drop below Asian and Oriental levels! Needless to say, none of this is expected to affect profits for rich individuals. If you want further confirmation of this concern with their own survival you need only consult today’s agreement by 35 leading large companies, in which they agree with ConDem public spending cuts. They are desperate to choke any suggestion of non-capitalist control of wealth distribution. We should be taking money from the bankers to continue the research needed to maintain UK’s competitiveness in future. Will we? Ho ho ho! i smoked tobacco for a period of ten years. approx a year before i gave up i changed my smoke to a brand that contained no additives. after a year of that i felt the desire to stop smoking so i got some nicotine patches. i stopped using tobacco and started using the patches. after a week i decided to try a day without a patch to see how i got on. i felt absolutely no urge what so ever to smoke. so i stopped using the patches completely and i have been tobacco free since march of this year. the point i am making… is it the additives in most tobacco products that make people addicted to smoking? now the status quo decrees that it is the nicotine in tobacco that is addictive. but just how additive exactly? (if at all). tobacco is big business, in sales, in taxes and the by-product of sales of pharmaceutical treatments to treat lung and throat cancer. oh and let’s not forget it is great in the population control department as well. with that in mind is there any university out there prepared to research the notion that additives in tobacco products are the main addictive factor? on a slightly differing tip re: cancer… google “dr. t. simoncini”. There are many who use roll ups , but are heavily addicted..Pure baccy is suppossed to be just that..unless there is mercury , benzine and arsenic in that substance also…..much research has already been done. Well done for not smoking, the vaso constrictory element of nicotine having been eliminated will allow better general circulation to all parts without Heineken. thank you margaret it is refreshing to be nicotine free. if you have a moment perhaps google “dr. t. simoncini” aka the notion that cancer is in fact a fungus that can be cheaply and effectively treated. I have just watched dispatches and I rest my case. The government which is imposing massive cuts on public services and increasing VAT which affects the poorest the hardest, is full of people who don’t even have the deceny to pay their full whack of tax. These lawmakers make sure the law is such that they can say ‘What I do is legal’. But to me none of them could say their tax avoidance measures are moral. I’m not surprised by any of the revelations but I am disgusted and angry.Is there something about having a lot of money that means you lose all sense of fairness and obligation? Why doesn’t C4News put the people featured tonight in a studio with people who are losing their jobs because of the cuts and let them explain how they justify their legal cheating. What did u expect from Millionaires . They serve people who are even richer . As I said in another thread – congrats to C4 and the reporter for exposing these ” people” who dont give a d##n about the peole who lose income or jobs . Surely no-one will be foolish enough to believe their lies AGAIN !!. Saltaire does that include the mps and peers who clearly illegally enhanced their expenses.You should by now realise the political ideology and bias of C4 .Why do you think i started blogging? Salaries for scientific research in the UK are pathetic, equivalent job roles in the US and elsewhere are more highly valued and better funded. However this has absolutely nothing to do with government funding and everything to do with the involvement of industry. US Venture Capitalism is embedded on the university campus. A smart grad with an idea for a business can find backing, and launch their own company. Within a couple of years they can sell out to a larger firm having achieved permanent wealth. US government investment in research – which is big – is driven not by politicians but by industrial lobby. In the UK, because we depend solely on the public sector, investment is dead, with a few exceptions like Sophos (Oxford, now HQ’d in the US) and Autonomy. Never mind that we invented the mass market PC, the TV etc etc etc. You are right Jon. The key concern must be to ensure that the UK remains a place that can attract and retain scientists who are at the forefront of research. It’s not a matter of salary, but of access to the resources needed to sustain leading research. At present, all public research funding is highly competitive – only about 20% of grant applications submitted to the research councils are funded, although many more are rated as excellent by external reviewers and by the Committees. This means that, on average, five proposals have to be submitted for every one funded – and the work that goes into each proposal is considerable. Only those with a good track record even apply, so the competition is intense. Accordingly, the careers of those junior scientists who will be employed on these grants are very insecure – grants typically last just 3 years. Not great for retaining talented young staff. If Research Council budgets are cut, we will weaken our ability to retain both the best of the present generation, and the best of the next. These have other places to go.